Tami has 15+ years experience providing both mental health and substance abuse treatment to individuals and families in a variety of settings. She was initially drawn to human services work as a result of experiences she had as a high school exchange student. Tami began working with families experiencing homelessness and recognized that oftentimes mental health and substance use issues also impacted their lives. She pursued her Masters in Social Work with an emphasis on Addictions to increase her skill base and more effectively support others. Tami has continued to pursue ongoing training and education particularly when she finds the need to enhance her skills to assist others. Her work with individuals experiencing trauma related issues highlighted the need for more experiential based therapies. Equine Assisted Psychotherapy effectively integrates a strength based, solution focused perspective allowing participants to uncover their own deeply moving answers. While it is difficult to put into words the impact of EAP, the results are evident when you experience it yourself. 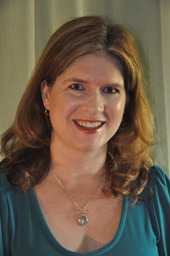 Tami lives in the Madison area with her husband and 4 children. She hopes to create a place of growth and healing through Triquestrian where traditional therapeutic approaches can be partnerned with non-traditional approaches and holistic methods for the benefit of the larger community. Tami also provides traditional therapy at Connections Counseling, instructs for Edgewood College, lectures for the University of Wisconsin Madison, serves on the board of directors of the Recovery Foundation as well as the Executive Committee for the Dane County Chemical Dependencies Consortium now the Recovery Coalition of Dane County. 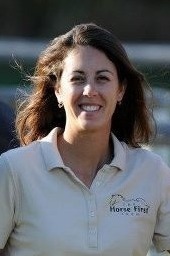 Gretchen is a Licensed Instructor of Parelli Natural Horsemanship. Her background includes riding, performance in dressage and hunt, and participating in the Truman State Equestrian Team. Gretchen attends clinics with Parelli Instructors, and attends courses at the Parelli Ranch. To date, she has attended 16 weeks at the Parelli Ranch as a student and 6 months in Professional training as an Instructor. Gretchen is currently working towards passing her Level 4 horsemanship, and is a 2 Star Junior Instructor since 2010. The Equine Assisted Growth & Learning Association, which was founded in 1999 and sets standards for equine-assisted psychotherapy and equine-assisted learning, has more than 3,500 members in 38 countries and growing. Half are mental health counselors and half are equine specialists.